RVs get a lot of flack. It's not really camping, says the 20-something with a couple cliff bars and a tent strapped to his back. Okay, but who is going to get their camping knowledge from that guy? If you go RV camping and sit inside all day, you're doing it wrong. If an RV camper and our 20-something friend both set up camp at a state park, who has a more access to nature? You both do! Just because your housing came on wheels and not in a pack doesn't mean you can't enjoy the outdoors. Here is the difference. After a long day of hiking, swimming, exploring and observing you come back to your campsite for dinner. The campfire is roaring, the sun is setting and the smell of chili is wafting through the air. After the s'mores are made and fingers are sticky, darkness is surrounding you. Now what? Well, in tent world, our 20-something is zipped up in his tent starring at the glowing screen of his iPhone. Meanwhile, you're snuggled up with a bowl of popcorn and a good movie. Just as you settle down, thunder cracks through the air and moments later, rain is tearing across the camp grounds. Water is pooling in our 20-something's tent. The ground is quickly turning into a river. The air is starting to chill. You are still watching a movie, nearly done with your popcorn when you hear a knock at the door. It's our 20-something looking for a dry place to stay. Okay, maybe that was dramatic, but RV camping during Florida summers means lots of rain. For most people, rain isn't a big deal. Campers are accustomed to getting wet now and then. But during Florida summers it rains every day. 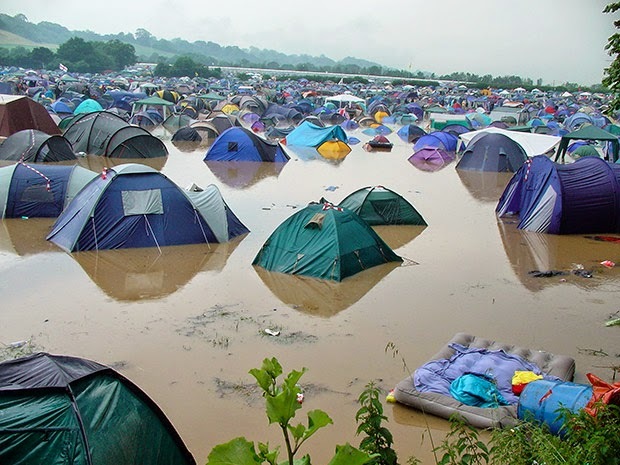 This is not good when you're camping in vinyl with a zipper. When you decide to buy an RV, you're not deciding you don't love nature, or that you don't want to enjoy camping. You are deciding that nature is great, but not ALL the time. You are deciding you'd like to have a bed at night, and a place to store the things you need. Because honestly, you're a person, not a pack mule. Modern RVs allow you to bring along bikes, canoes, kayaks or any assortment of outdoor toys. Beyond that, they have a lot more storage space that makes extended vacations much easier. Not to mention the fact that you can easily make meals at home. Oh, and a private bathroom. Looking for a great place to stay in your RV? Try a Newby Fun Resort! RV's are storming the nation as the new way to travel. You get all the comforts of home with all the excitement of the road. But whether you're traveling across the country, or just a few towns away, there are some tips and tricks to keep yourself safe on your next RV road trip. Before you head out on your next adventure, plan your route. Pull up Google Maps and check out the toll roads, construction zones, and rest stops. You can save your route and check it the day you leave. Google Maps posts real-time updates to their routes, so you'll know if there are traffic jams, or areas to avoid. Plus, you can decide whether you want to take highways, or a more scenic route. Just in case, you should print your directions, along with your final destination's address. Keep a map with you as well, after all, you're better safe than sorry! Bringing some extra money is great for fun and necessity. If you see an awesome diner you want to check out, stop and have lunch. Remember, depending on where you are cash may be necessary. If you travel a lot, it might be a good idea to consider using traveler's checks or credit cards instead of debit cards. Credit cards are easier to manage if fraudulent activity occurs. Plus if it's lost or stolen, you're not without money (especially if you have some extra cash on hand). Just keep in mind that you should always be cautious when traveling with large amounts of money. Whether you're going across country or across the state, remember to bring along important documents. This can include a driver's license, passports, insurance cards (health and auto), birth certificates, social security cards, and vehicle registrations. These documents are especially important if you're crossing any borders. Okay, maybe this is silly, but don't forget your socks. No one wants to wear shoes without socks! That makes for smelly feet, and smelly feet are extra dangerous in an RV. Wait....what? It's a good idea to research the different destinations and attractions along your route. Read reviews, check prices, look at their hours of operation. Nothing ruins a spotaneous trip to a museum like realizing it's closed on Tuesday. You don't have to stop at every location, but make a quick "cheat sheet" of information about the different attractions along the way. That way the family can decide whether they want to see it as you get closer. Then you can also rule out that places that are too expensive or aren't open on the days you'll be in town. It's called planned spontaneity (or at least it is now). Common sense is one of those things that's actually not too common. Whatever you do, just make sure to put common sense first. But still remember to have fun! Be careful when stopping in parts of town that look unsafe. Don't invite strangers into your RV and make sure to set ground rules, points of contact and emergency plans. Whatever you do, and where ever the road takes you, make sure to have fun! Welcome to Florida, where endless summer gives us endless opportunities for RV camping. Sunny days and breezy nights create the perfect scene for your best camping memories yet. But wait! You don't have an RV! Great news, there are many reputable RV rental services in Florida, but here's what you need to know before signing on the dotted line. Do your research so you get the best deal! Knowing all of your options is the best way to successfully rent an RV in Florida. Check out all the local RV rentals companies and see what's available. 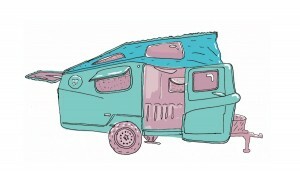 Next, examine the types of RVs for rent. 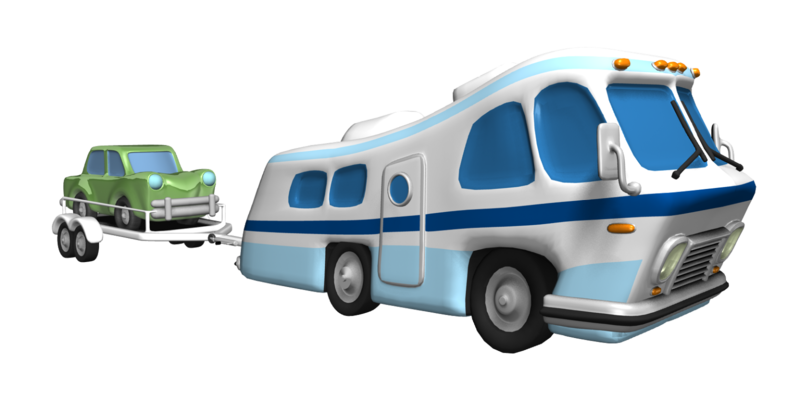 For comfort, as well as safety, rent a motor home that is able to accommodate you and your traveling party. For example, a group of six travelers should not try and squeeze into a motor home built for five. 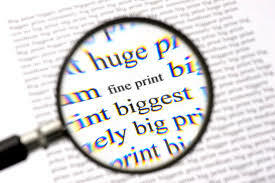 Also examine features, such as number of electrical outlets, onboard television, movie players, and so forth. This might look nice, but is it worth the price? Once you've scouted your options, it's time to compare prices. Be sure you take into account any additional costs like mileage, non-refundable fees, etc. You can also save money by additional features and ensuring you return the RV in great condition. It won't be fun, but you'll be better off when you read the fine print! When renting an RV, you will be required to sign a contract. This contract is similar to one that you would sign if you were renting a car. With that being said, never assume that all rental contracts are the same. Always fully read an RV rental contract, including the fine print. Never sign anything that looks too suspicious. When in doubt, ask to take the contract home and review it first. 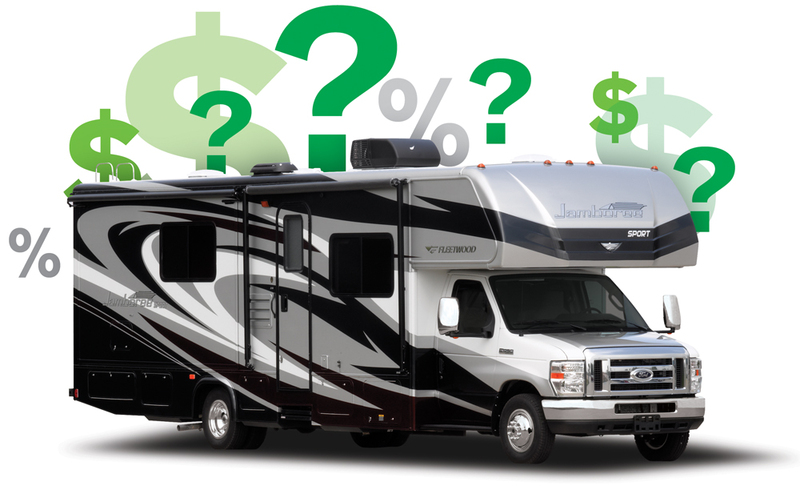 In keeping with reading all fine print, it is important to know all RV rental rules and restrictions upfront. Many times, these rules and restrictions are highlighted on a rental contract, but there is no harm in asking for additional information. Be on the lookout for any rules that may limit the number of guests allowed on board, age requirements for children, and so froth. It had this scratch before, right? Being cautious is an important component of renting an RV. If you are not careful, you may be financially responsible for any damage that occurs. Many times, RV renters are inexperienced at driving rigs, so always use extreme caution on the roads. Some tips involve keeping all food and drinks properly covered or put up while on the road, don’t prepare foods while driving that can cause harmful stains, and so forth. Also, if you have children, be sure to set some ground rules. Better late than never won't apply here! Returning your RV rental on time is important for keeping your rental costs low and affordable. Late rentals may incur late fees. These late fees, should they exist, should be outlined on the RV rental contract. 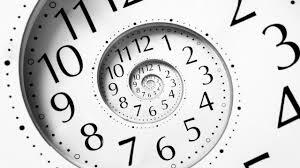 If you know you are running behind schedule and will be late, be sure to contact your RV rental company to inform them of your delay as soon as possible. 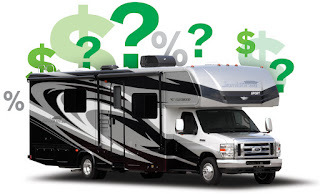 As a recap, RV renters are encouraged to examine all of their rental options, compare prices, thoroughly read through rental contracts, use caution, and return their RV rentals on time. These steps, when properly implemented, can not only help to improve the overall quality of your next RV trip, but they can also help to keep the costs associated with that trip reasonable.